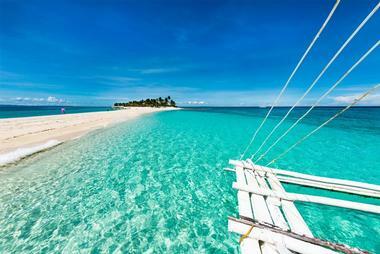 The Philippines is home to numerous gorgeous beaches. 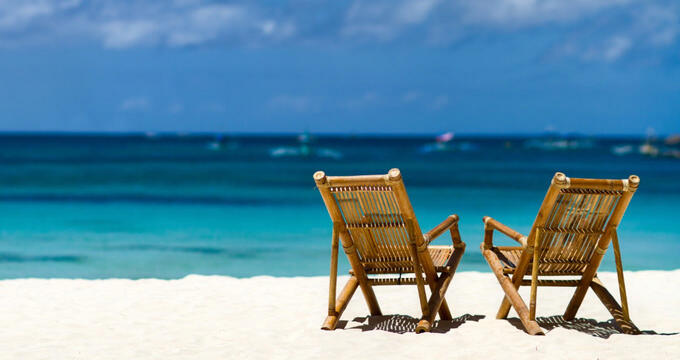 There is no shortage of the places you can go to connect with nature, enjoy white sand, go for a swim, boat, fish, or just relax in the sun. Some beaches are easily accessible while others are a bit more private and others are islands for a truly personal experience. Malamawi Island, also sometimes called Basilan Island, is about a kilometer from Isabela City, the capital of Basilan. This island is small and inhabited and it is famous for its white sandy beach along its northern coast. Thanks to its popularity, the government has developed part of the beach to create a resort complete with tourist activities and facilities. The beach themselves are amazing with powder white sand and crystal-clear water. There are some grilling stations, but visitors note that there are not commercial establishments so you should bring your own food and drinks. The focus in the resort area is more on activities than food. 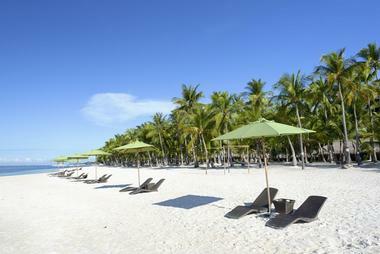 Alona Beach is a tropical paradise on Panglao Island in Bohol. It is known for amazing tours, world-class diving, gorgeous blue waters, and white sand beaches. There are many hotels and resorts along the beach for those who want to stay nearby and you will find plenty of things to do while there. The beach itself covers 1.5 kilometers of white sand and as you walk along the beach, you will pass restaurants as well as hotels. While at Alona Beach, you can go diving or snorkeling to view the house reef, get a massage, relax, or just enjoy the food and/or live acoustic music. 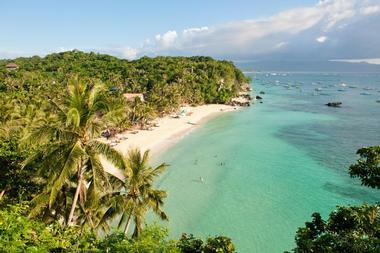 Some refer to Diniwid Beach in Boracay as the smaller cousin of White Beach. The two beaches are right next to each other and by foot, it would take about 15 minutes to get to Station 1 from Diniwid Beach. 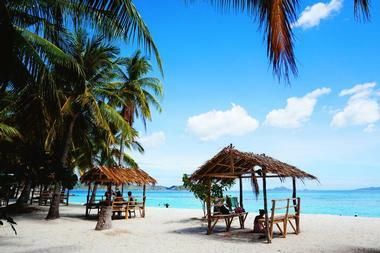 While White Beach is hedonistic and packed, Diniwid Beach is quiet, serene, and less popular. You can enjoy one of the restaurants along the beach, some of which are very highly rated and offer champagne brunches. There are also some private villas available for rent and the beach is known for its small luxuries as well as the serenity that connects you with nature. 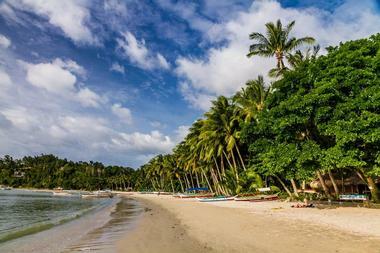 Anguib Beach is in San Vicente, Santa Ana, Cagayan, Philippines and has pristine blue waters along with white sand. There is a resort on site and you can enjoy air conditioning there when inside. When outside, you get amazing views and plenty of shoreline and nice waves. 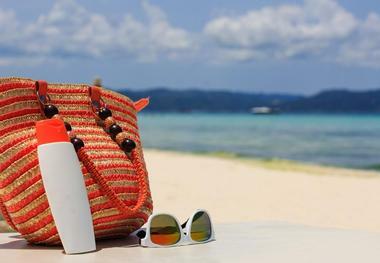 While you can find places to stay, you should plan ahead and bring food and drinks with you since there are not too many options while on Anguib Beach since it is fairly remote. 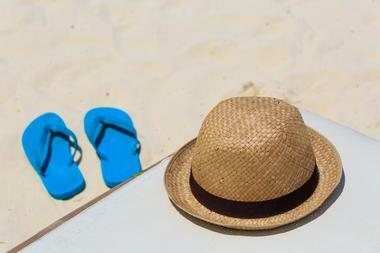 The beach can get very crowded during the summer, but it is much more relaxed and less crowded during the off-season. 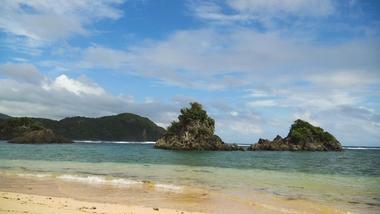 Puraran Beach is known as a surfing spot by those around the world, giving visitors views of the Pacific Ocean. 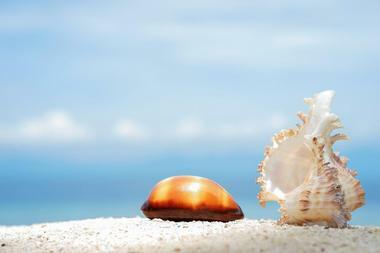 The beach has a stunning landscape with golden and cream sand plus clear, clean water. There are also amazing mountain views in the background plus rock formations. While the area is warm, there are strong winds that can help cool down visitors. 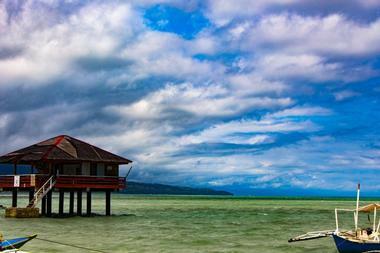 Along the beach, you will find nipa hut cottages, perfect for changing or some quick relaxation. You can go for a dip or stroll, sunbathe, or climb some of the rock formations. Those who want to stay nearby can visit one of the two nearby resorts, which also have meals available. 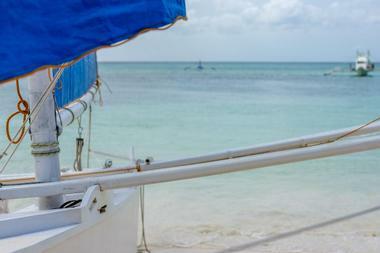 Bantayan Island sits along the northern tip of Cebu, with white sand beaches and rich waters. The island sits in three different municipalities: Santa Fe, Madridejos, and Bantayan. Each is known for something special, like picturesque sunsets, a centuries-old church, or gorgeous sunrises. Getting to the island requires a bit of effort, but once you arrive, it will be well worth it for the seclusion and beauty of the island. While on the island, be sure to visit Paradise Beach, Ogtong Cave, Kota Park, Obo-ob Mangrove Eco Park, and Sts. Peter and Paul Church. You can even go skydiving while on the island. Bounty Beach is the beach that Malapascua is known for and it is known as being one of the most gorgeous beaches in the world. There are amazing coral gardens that divers will love to view, particularly to see the manta rays and sharks feed or to view other fish. If you want to stay on the land, you will enjoy the sandy beach that feels more remote than most tourist-filled beaches. There are vendors on the beach as well as some stray dogs, which can be good or bad things depending on your view. There are also plenty of small shops, a nice small bakery, and plenty of local restaurants. Dahican Beach covers seven kilometers of crescent-shaped open beach with powerful waves, fine sand, and tall coconut trees. This beach is a popular destination for anyone who enjoys beaches, as well as skim boarders and surfers. The local government aims to protect the area as it serves as a sea turtle sanctuary as well. You will find plenty of resorts by the shore, with your choice of rooms, tents, or cottages, including open-air cottages. There are also plenty of restaurants and great opportunities to surf. The beach is also dog-friendly for those traveling with a canine companion. Just keep in mind that this beach can get more crowded than it used to, especially during the high season. Bolobadiangan Island is in Iloilo, the province known for the Dinagyang Festival as well as ancient Spanish churches. 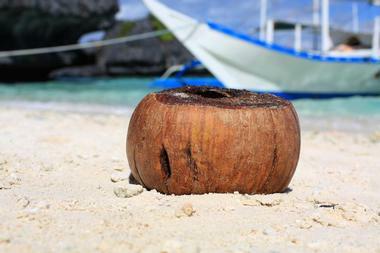 The island is within Concepcion, about two or three hours from Iloilo City and home to a total of 16 islands. 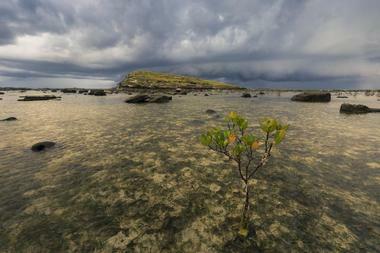 Bolobadiangan Island is also sometimes called Sandbar Island. It will usually have a fair number of visitors, but you should still make a point to visit due to the tempting blue waters and white sand, the sandbar that moves slightly based on the wind, amazing views of other Concepcion islands, and plenty of marine life, making it perfect for snorkeling. The island is also small enough to go around completely in just an hour so you don’t miss out on anything. Kalanggaman Island is known as one of the most gorgeous islands in the Philippines with white powder sands and clear, blue water. It stands out for its amazing sandbars that stretch out by the end of the island. While many other beaches in the Philippines are packed, that is not typically the case with Kalanggaman Island. On the island, you can go swimming in the blue waters, snorkel, kayak, or sunbathe. If you visit this island, remember that there is no electricity here, although the coast guard station does have solar-powered equipment. You can also go on tours that include this island so you do not have to worry about getting there. Manjuyod Sandbar lets visitors truly connect with nature as you will not find luxury trappings. The white sand is not interrupted by anything, not even coconut trees. The sandbar is a common stop-over on tours to watch dolphins and whales. The best time of the day to visit the sandbar is early so you can see it appear. If you want to stay here, you will find three native cottages. The chalets begin floating once the sandbar disappears, changing the views slightly but creating a unique experience. 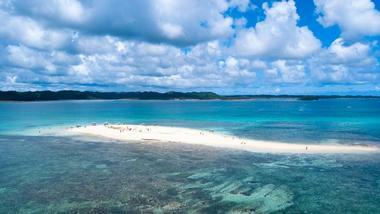 It is ideal to time your visit to Manjuyod Sandbar during the dry season so the water sparkles turquoise. Biri Island is where the Pacific and Bernardino Strait meet and it is incredibly breathtaking. The island is one of the 18 islands in the Balicuatro Group of Islands sitting between these two bodies of water. Biri Island still has its natural beauty nearly completely untouched, with enormous rock formations, pristine beaches, and amazing views. The town itself has a friendly and calm atmosphere. You can now find some upscale resorts on Biri Island, but many of the homestays and guesthouses are incredibly affordable and have more character. While on the island, visit at least some of the six major rock formations, ideally by going along the Progress trail which will take you to four of them. Apo Reef is a gorgeous coral reef system along the Mindoro Strait. It covers 34 square kilometers, making it the biggest contiguous coral reef system in the Philippines. The reef as well as the waters surrounding it have protection and are known as Apo Reef Natural Park. This is a particularly popular location for diving thanks to the gorgeous reefs. Most of Apo Reef is submerged, although three islands sit along the surface: Cayos del Bajo, Apo Menor, and Apo Island. These islands are uninhabited and protected. Those who visit Apo Reef to scuba dive will see plenty of marine life, including sharks, murenas, mantas, and giant napoleons in addition to the healthy coral. Port Barton is a small and quiet fishing village within a sheltered bay in San Vicente, which is on Palawan. 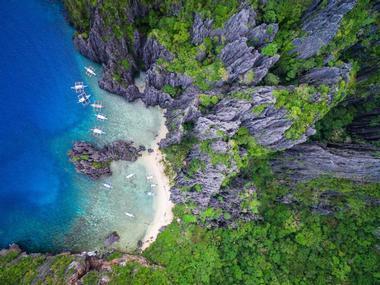 It is peaceful without much commercialization and many see it as the halfway point connecting El Nido and Puerto Princesa, which are also on Palawan. The accommodations are mostly geared towards budget backpackers and luxury travelers who do not need much luxury, with sometimes unreliable internet and electricity. You can also find homestays and some relatively close resorts. Most visitors to Port Barton simply relax and connect with nature. It is popular to island hop to view things like coconut gardens, paradise cove, and more. Secret Beach is one of several attractions in El Nido, sitting to the west and off-shore. This beach gets its name from the fact that it sits inside the apparent entrance to a cave. In addition to its seclusion and quiet, one of the main attractions of the Secret Beach is the mini rock pools that you will spot as you approach the sandy shores. You can get to the beach by yourself or come there as part of a tour if you prefer. Going that route will also let you see sites like Star Beach and Hidden Beach on the same day. Quiminatin Island sits nearly two hours from Cuyo and is a common destination on island hopping tours from that destination. The island features a limestone outcropping as well as a small beach. The island stands out from other beaches in the Philippines with its exceptional amount of marble, including marble that seamlessly fuses with limestone. You will find scattered marble rocks in every direction. There is also a cave that requires a climb, which is where fishermen get their water. If you want to visit it, bring some good shoes. There is also a smaller sister island of Quiminatin Island, complete with an opening reaching all the way to the sea. Malajon Island, also known as Black Island, sits to the northwest of Busuanga Island, which his the largest of the Calamian Group of Islands. Malajon Island seems menacing from a distance due to its massive karst cliffs, but upon closer inspection, the clear blue waters and fine white sand are very welcoming. Be sure to wade in the waters or sit on the sandy beach. You should also consider snorkeling in the nearby coral garden, complete with a Second World War shipwreck in the middle of it. There are also numerous caves, including several that are open to the public. Malcapuya Island sits two hours away from Coron, which means that it is very easy to find a tour from that city to visit the island. Most boats take you to the back beach, although the main beach is much more attractive, with white, powdery sand. While on the main beach, you can use a hammock, table and chairs, or one of the tents. There are also more secluded beach locations on the island. It is also possible to spend the night on the island, but do not expect a hotel or resort. 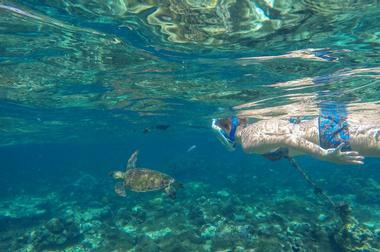 Those who enjoy snorkeling will find some great locations off the shore of the island as well. Patar Beach is in Bolinao, a coastal town along the northwestern portion of Pangasinan, right where the South China Sea and Lingayen Gulf meet. 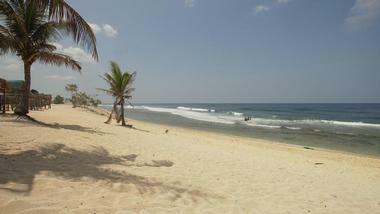 Patar Beach is one of several beaches in Bolinao but the best-known. It is certainly worth the effort to get to the beach for its creamy white sand that gradually slopes down from the shore, ideal for swimming. Do not expect much maintenance since this is a public beach and you need to watch out for seaweed seasonally. 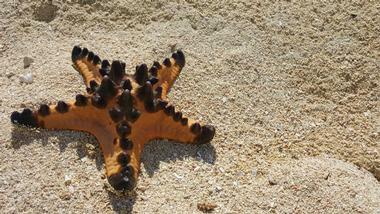 You can also find nearby smaller beach stretches, complete with coral rock formations. This beach is still relatively pristine, although more overnight accommodations are now available. Salagdoong Beach is among the most popular on Siquijor Island, which means that you do have to be aware that it will likely be crowded, particularly on the weekend. Go on a weekday for fewer tourists. In addition to the beach itself, you can also find a cliff that is perfect for jumping into the gorgeous water. Keep in mind that instead of a purely sand beach, this one is a bit rocky with small white dead coral as well as shells. The great thing about Salagdoong Beach is that it also serves a resort with tents, hotel rooms, and cottages, plus a restaurant with a range of meals. You can also make use of picnic tables. Subic Beach is on Calintaan Island, about 20 minutes from Juag Lagoon Marine Sanctuary. A quick sail trip away from Subic Beach, you will find gorgeous rock formations and sea caves. 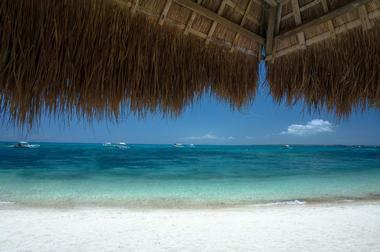 In good conditions, the area is great for snorkeling, as are many other beaches in the Philippines. Subic Beach has two sections, Subic Big Beach and Subic Small Beach. Be careful when swimming in the beach since the sea bed slopes down quickly away from the shore. 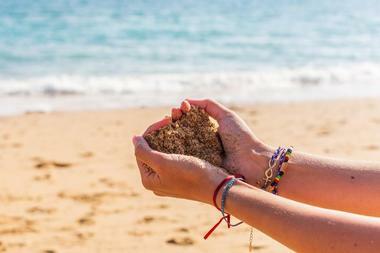 As you explore, you will notice that the sand is pinkish due to deep red color from crushed red coral mixed in. The Naked Island gets its name from the fact that it is just an island that has white sand on the water. It is wider as well as more stunning than the White Island of Camiguin for those in search of a comparison. It is one of the Britannia Islands, which is known for tis pristine white beaches. Most of the islands in the group, like Naked Island, are uninhabited and have no or minimal vegetation. They are all surrounded with crystal clear waters. The main island of the group also has additional activities, like jet skis and banana boats. Buluan Island is about seven kilometers from Ipil, a port in Zamboanga Sibugay. It is far from commercialization, delivering seclusion, privacy, and tranquility. 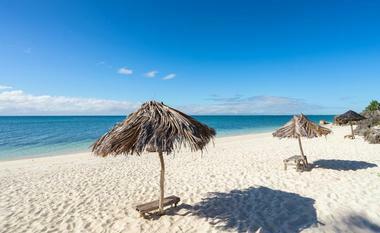 The island has clear blue waters and white sand beaches. Keep in mind that at the time of writing, visitors to the island must coordinate their visits with the province’s tourism office, a step which helps protect the beauty of the island and means that it is among the cleaner beaches you will find in the Philippines. The island itself is small enough to walk around the entire perimeter in just an hour. If you want, you can rent a cottage on the beach and spend some time there. 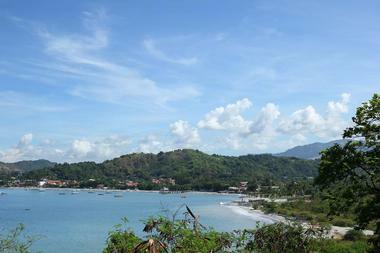 Nacpan and Calitang are known as twin beaches and they were previously a well-kept secret. 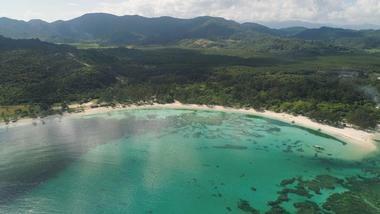 Slowly, more people became aware of these twin beaches and most people now stop by Nacpan-Calitang while in El Nido. 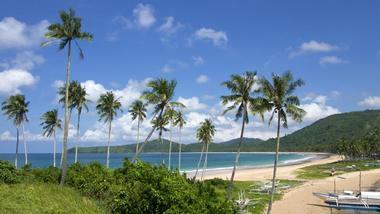 Nacpan Beach ha about four kilometers with creamy sand beach and coconut trees. 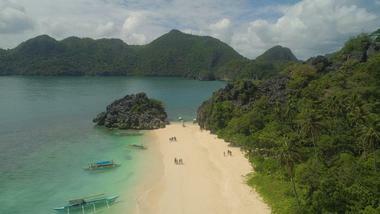 It is still much less crowded than most of El Nido and unexploited and unspoiled. Calitang Beach is the smaller of the two and there is a nice hill between the twin beaches perfect for picturesque views. You will not find a high-end resort, but there are huts sand small cottages plus a handful of eateries and stores. Matukad Island is among the smaller islands sitting off the Caramoan peninsula’s coast. The surrounding waters and beaches have towering limestone cliffs around them. Most visitors come to this island for its fine sand. While there, be sure to visit Matukad Lagoon, which is a small lake that, according to myths, has a giant milkfish in the water. There are sharp cliffs that you can climb to get a great view of the water, and possibly the mythical milkfish. There are resorts in the area for those who want an overnight stay with all the amenities. The island is less crowded early in the morning, so plan your visit accordingly.